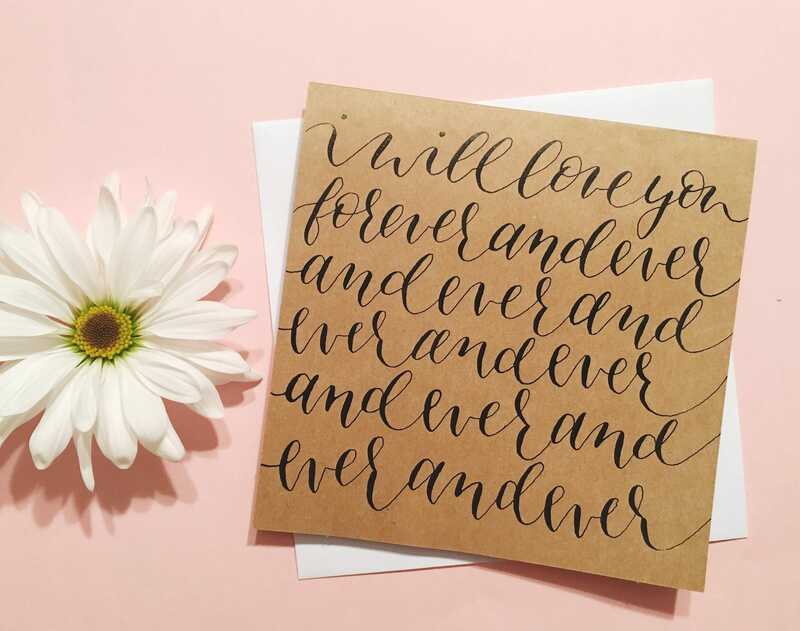 This card is the perfect gift for your loved one! 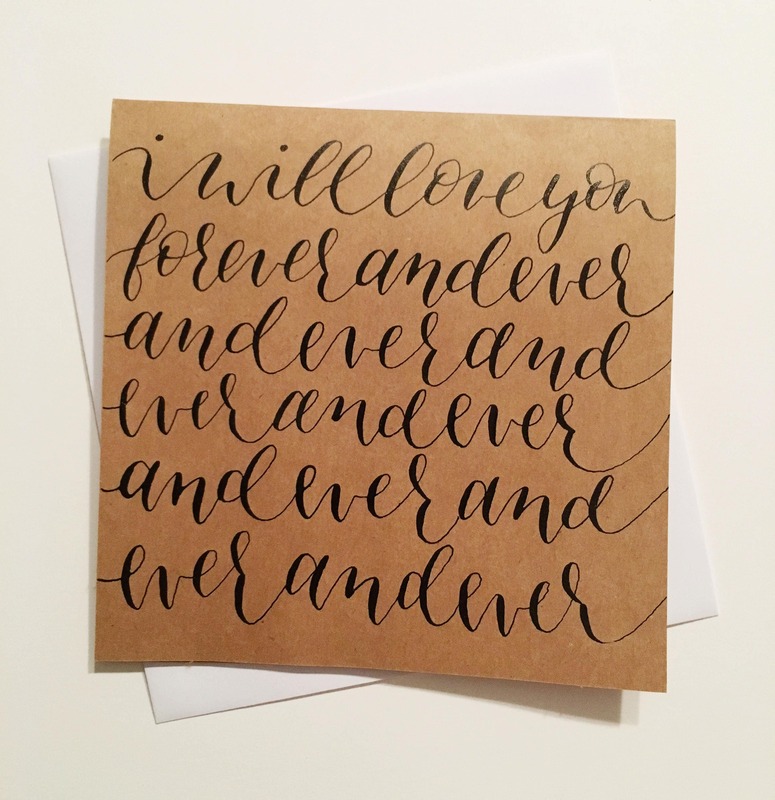 This unique handmade card (no prints here) measures 5.5 by 5.5 inches. 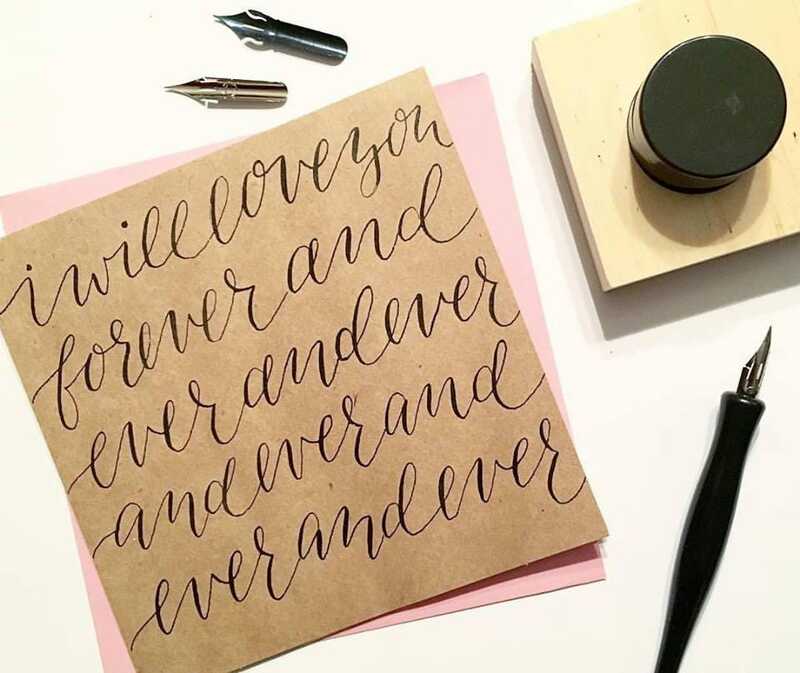 It's made upon ordering with pointed-pen calligraphy on sturdy kraft cardstock. The card comes with a white envelope and will be delivered in a plastic protective wrapper.